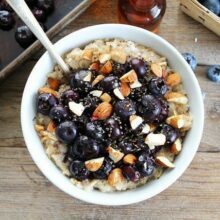 Maple Roasted Blueberry Almond Oatmeal-a hearty bowl of oatmeal topped with maple roasted blueberries, chopped almonds, and chia seeds. A great way to start any day! We are an oatmeal family. Sure, we love other breakfast foods, but oatmeal is our staple. We eat oatmeal at least six mornings a week, sometimes seven because we love it that much. You might think that sounds boring, but I bet you will change your mind after you try our Maple Roasted Blueberry Almond Oatmeal. 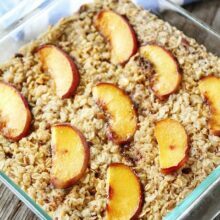 You will want to eat this oatmeal seven days a week too! Oatmeal is good on it’s own, but we love playing around with fun toppings. 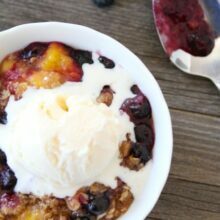 Maple roasted blueberries are a great oatmeal topping and so easy to make! 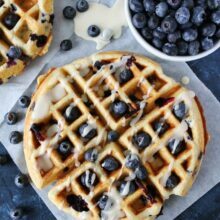 Drizzle fresh blueberries with pure maple syrup and roast them in the oven until they are about to pop! 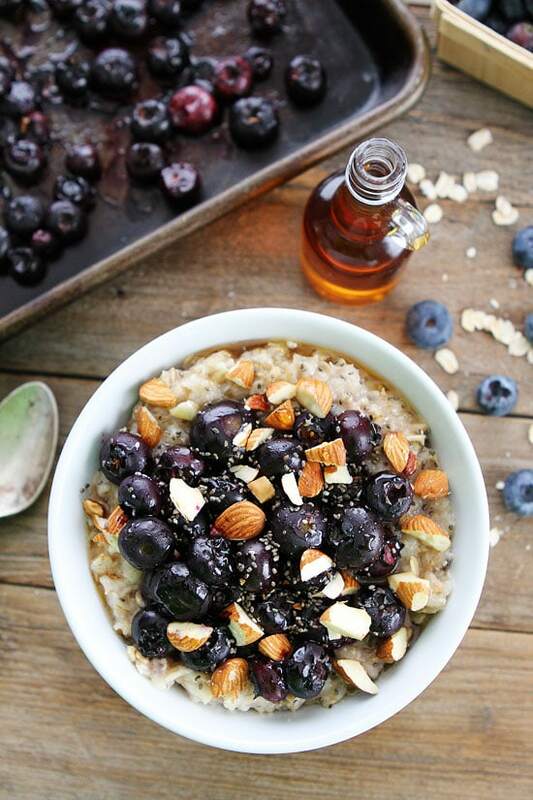 Spoon the sweet and juicy blueberries over a warm bowl of oatmeal. I also like to add chopped almonds, chia seeds, and an extra drizzle of maple syrup. Just five simple ingredients for breakfast perfection! We could eat this oatmeal every single day! What are your favorite oatmeal toppings? Quaker is on the hunt to find America’s next great oatmeal flavor with its Bring Your Best Bowl contest. 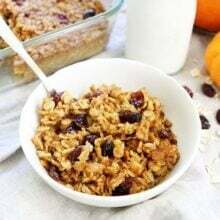 The contest celebrates the versatility of oatmeal and all the ways to enjoy it by inviting Americans to submit their most inspired oatmeal flavors. Simply pick 2-5 ingredients and share your inspiration on BringYourBestBowl.com. for a chance to win $250,000 and have your combination brought to life as Quaker’s newest oatmeal flavor in stores. To enter the contest, discover more recipe inspiration, and to see the Official Rules, visit BringYourBestBowl.com. Ends 3/12/16. 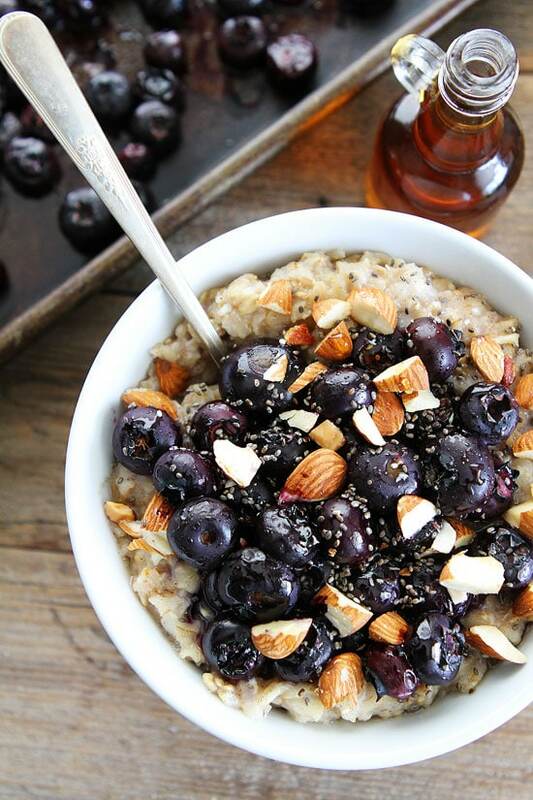 Go warm up with a bowl of Maple Roasted Blueberry Almond Oatmeal, it is the perfect breakfast for a cold morning! And if you are feeling creative, be sure to enter your own oatmeal combination at BringYourBestBowl. 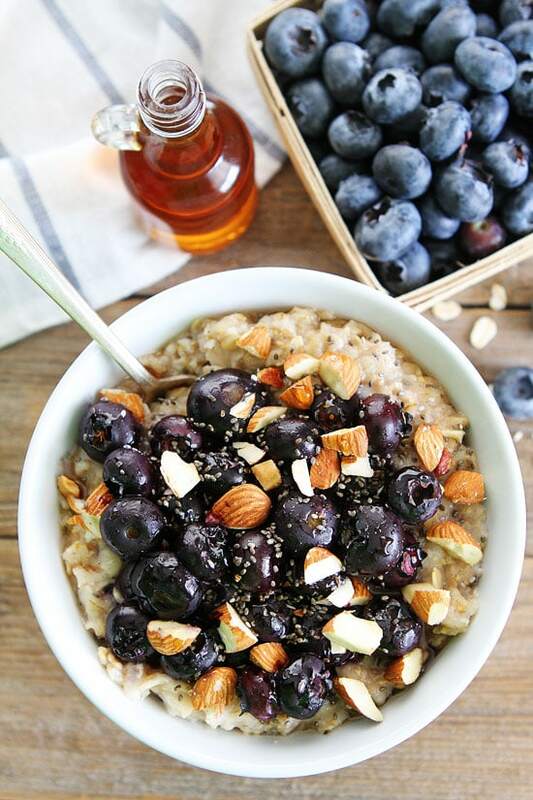 Hearty oatmeal topped with maple roasted blueberries, almonds, and chia seeds. The perfect way to start any day! Preheat oven to 400 degrees F. Spray a baking sheet with nonstick cooking spray. 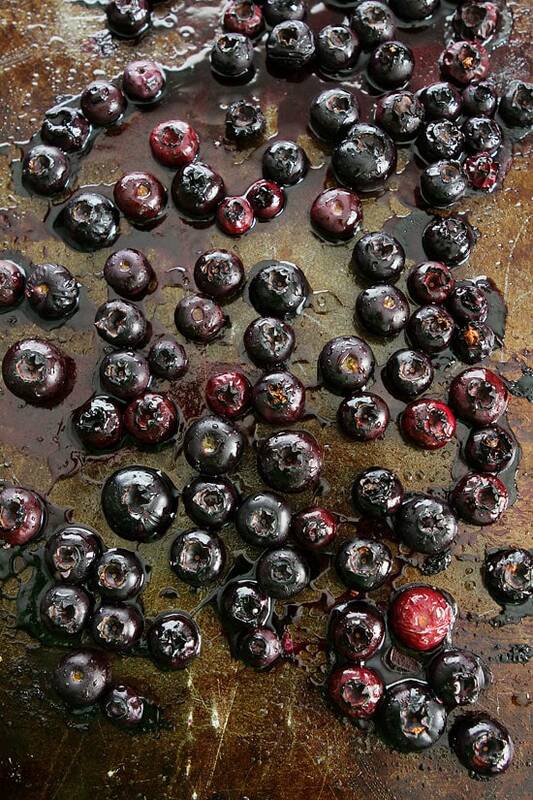 Place blueberries on baking sheet and drizzle with maple syrup. Toss until blueberries are coated. Place the sheet in the oven and roast for 8 minutes or until blueberries are juicy and ready to pop. While the blueberries are roasting, make the oatmeal according to package (I used milk instead of water). Combine milk and oats in a medium saucepan; bring to a boil over medium-high heat, stirring often to prevent boiling over. Cook until thickened; divide oatmeal between two serving bowls. Top with maple roasted blueberries, almonds, and chia seeds. Drizzle with additional maple syrup, if desired. Serve immediately. Wow. That oatmeal looks marvelous. I have never tried roasting blueberries before, and I’m kind of wondering to myself why I have never thought of doing it. Given how crazy for blueberries my family is, this oatmeal is sure to land on our breakfast table soon. Thanks for the recipe. Roasting the blueberries makes them even better! The perfect topping for oatmeal. I hope you like it! I would love a big bowl of this right now! Look at this beautiful oatmeal! Love it Maria! Oatmeal is one of my go to breakfasts. Add a bit of flax seed, maybe even mix in some protein powder. I love the chia seeds addition you did! I love adding flax too! this looks so yummy! Plus I can’t wait to see your dress from the Golden Globes!! This is my kind of oatmeal! I haven’t tried frozen blueberries, but I bet they would still be good! Let me know if you try it! I haven’t tried frozen blueberries, but I bet they would work. Might have a little different texture, but still good! beautiful bowl of oatmeal maria! Those roasted blueberries sound beautiful. What a lovely way to enjoy a bowl of oatmeal! Clearly I need this for breakfast!! This sounds perfect for a cozy weekend breakfast! Loving the looks of the roasted blueberries. There’s really nothing like starting a winter morning with a big bowl of warm oats!! OMG! This oatmeal is literally perfection! Need this in my life ASAP! This was delicious! Makes winter blueberries taste so much better! Thanks! When fresh berries aren’t in season, we like to take freeze-dried fruit (1/2 cup) and put it in the spice grinder. Mix with 1/4-1/2 cup of regular sugar and voila – instant sprinkles without all those weird ingredients that make up candy-coated sprinkles. We’ll do different colored fruits and put them in separate containers and they keep for months. The kids get to sprinkle it over their oatmeal and make whatever rainbow designs they want. The other thing we do is make a chia jam out of frozen berries, chia seeds, sugar and lemon and the kids get to mix that into their oatmeal too if they want. You get to control the sugar and the chia makes it “glutinous” enough to be a jam. I’m excited to try roasting blueberries though for yet another alternative!